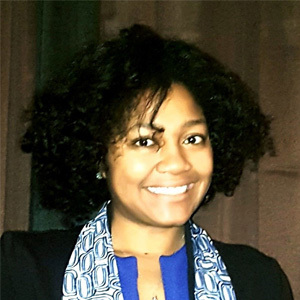 Janiece Mackey is the Co-founder and Executive Director of Young Aspiring Americans for Social and Political Activism (YAASPA) headquartered in Colorado. Follow them on Facebook, Twitter, Instagram and YouTube and learn more at yaaspa.org. YAASPA endeavors to build the self-efficacy of youth who desire to make change in our communities, pursue social science degrees, and social justice careers. We do this work via programs, advocacy, and community organizing. Our motto is “Redefining the Standards to Pull Down the Barriers!” and our mission is to encourage and support disengaged and underserved youth to participate in their communities socially and politically, in order to make changes within the community. To create political and social awareness regarding issues that directly and/or adversely affects our communities, it is necessary to be educated. Through activism and education, we can redefine the standards that have been placed upon us. We are also making strides with policy with the release of our Concurrent Enrollment Racial Equity report which indicates we need to better support and engage Black students. Youth also led the way, alongside partnering organizations, to get a yes vote from the RTD board for a 70% discounted youth pass beginning January of 2019. Our scope of work will allow us to model our mission in action. The blending of education and activism is necessary due to the socialization of our youth in schooling systems that did not have students of color in mind. With that said, we must do the necessary educational work through our courses to support students in better understanding themselves amidst our sociopolitical environment and how the racialization of their experiences impacts their activism. Without this necessary time and space for students, their activism can be damaging and negatively impacted. Furthermore, their activism stemming from their lived experiences is critical to the work so that they can be a partner in leading YAASPA’s policy footprint and interactions in civic spaces as well. We hope for our students to be confident in bringing their full authentic selves into civic and educational spaces to “redefine the standards to pull down the barriers.” In doing so, we can change the ecosystem to not simply reflect more compositional diversity, but also diversity of thought with racial, civic, and educational equity in mind centering those most impacted by inequity. We are always in need of volunteer support, programming connections within the area of social sciences, and financial resources. One of the major challenges is that our youth are being socialized into a colorblind K12 system often times which can make it difficult for them to remove the veil and lean into race consciousness. Colorblind racism sometimes has an impact on navigating school-based partnerships as well. Be your authentic self in your journey and lean into a willingness to engage in self-care. We must do our own self-work within ourselves and with our teams if we expect those we partner with in community to do so. We must model what transformational justice with healing looks like alongside and within community and have a willingness to work in solidarity with a collectivist mindset rather than working in a silo because our youth and communities deserve this. Lastly, we must ensure there is reciprocity built into your work internally and externally with partnerships, so that a sense of interdependence is maintained. Please contact us to volunteer your time, lend your expertise for our programs, and/or donate at yaaspa.org.